Thank you for taking a moment to visit this page. To the left is a recent photograph of the staff. That's it! There is just one picture. I have been a stamp collector since the late 1950's. During the last fifty years only college ( I am also an accountant ) and active duty in the US Navy ( a four year enlistment ) have taken me away from the hobby. My collecting interests have always been worldwide because I find the variety, challenge and possibilities virtually unlimited. 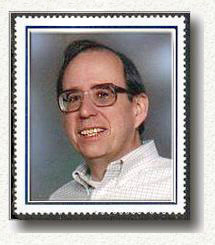 I have been a member of the American Philatelic Society (APS) and the American Topical Association (ATA) for more than thirty years and feel my association with those organizations has contributed significantly to the enjoyment, satisfaction and education our hobby provides. I appreciate your visit and I hope you find my listings helpful in the pursuit of your collecting interests.